Budget 2018 – What did You Gain and What did You Lose? 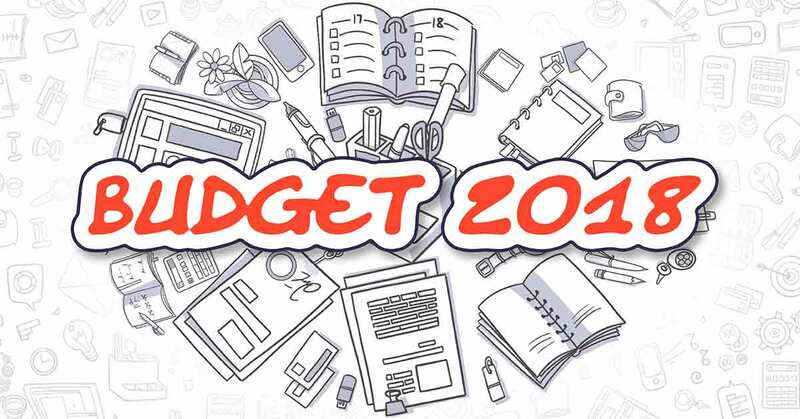 Budget 2018 had a primary focus on the upcoming Lok Sabha elections. Keeping that in mind, the finance minister tried hitting the right chords for increasing government expenditure in healthcare, education, infrastructure and reducing rural distress. This budget is the last full budget of the BJP government before the upcoming general elections. The expectation of the middle-class population were some very good changes primarily in the tax slab rates which had not seen any major overhaul over the past few years. There was also a hope for an increase in the 80C limit and housing loan interest deducted limits. However, the budget turned out to be extremely disappointing for middle class who are mainly into jobs. Whereas the budget, was very good for the rural sector in general, farmers and also for senior citizens. Here is a list of the major gains and losses for the general population from this year’s budget. The biggest announcement of this budget was the proposal to set up National Health Protection Scheme. This is the boldest announcement of this year’s budget. It aims at providing a health insurance cover of Rs. 5 lakh per annum. India with this scheme can now proudly claim the title of having the largest public health care program in the world. As of today, the central government provides a health cover of Rs 30,000 for poor families under Rashtriya Swasthya Bima Yojana (RSBY), which is an insignificant amount considering the inflation in the health sector. With a cover amount to Rs 5 lakh, Finance Minister has taken a big step towards providing Universal Health Coverage. Currently, the government has not provided any details about this scheme in the budget nor any allocations have been made for the same. As a compensation for keeping the tax slabs unchanged and in order to put a smile on the faces of the middle-class salaried population, the Finance Minister has reintroduced the standard deduction of Rs 40,000 in this budget. The standard deduction has made a comeback after a period of 13 years. This deduction directly reduces your taxable salary by Rs 40,000 along with other benefits and deductions. The major downside here is the withdrawal of the medical reimbursement of Rs 15,000 and transport allowance amounting to Rs 19,200. This effectively results in an additional advantage of Rs. Rs 5,800 which is higher than the previous combined amount of Rs. 34,200. To put a cherry on the top you are relieved from the hassle of providing medical bills. A major benefit applicable only to the senior citizens is the raise in the exemption limit of interest income from Rs. 10,000 to Rs 50,000. This includes interest earned from fixed deposits, recurring deposits and saving bank account. This means senior citizens will be free from TDS deductions and its related hassles. Another major benefit applicable to senior citizens is the increase in the exemption on their health insurance premiums for senior citizens under Section 80D. The existing limit has now been raised to Rs 50,000. This makes it more beneficial and closer or equal to the actual amount spend by them or their children for their health insurance plans. The deduction limit towards medical expenses under section 80DDB for certain illnesses has been raised to up to Rs 1 lac. So, a senior citizen who spends money on treatment of critical illness can claim deductions up to Rs 1 lac. All the new women workers starting their first job will be able to take home a higher salary. Thanks to their EPF deduction being capped @8% only instead of 12% for the first 3 years. The government will also provide 12% from their side. However, clarity has to be received on whether the government contribution will be extra i.e. over and above the employer contribution. The one thing that every middle-class salaried individual was looking forward to from this budget was an increase in the tax slabs, they were left unchanged. So, you the common man will still continue to pay the taxes as per old slab rates only. The much-feared LTCGT has made a comeback in this budget @ 10% tax on your long-term capital gains on equity without Indexation benefits. This means, if you have held onto your stocks or equity mutual funds for a period of more than 1 year, then you will pay 10% tax on the profits made above the amount of Rs 1 lac. This will be applicable after 31st Jan, 2018 and on all the holding sold after 31st Mar, 2018. All the gains you have made till 31st Jan 2018 are protected and will be considered as your cost price. The dividends earned from stocks and equity mutual funds will also be taxed at 10%. The companies will deduct this and the investors will get the dividend post the deduction of 10%. This relieves you from paying any tax at your end. This tax will be applicable to both i.e. dividend option and dividend reinvestment option under mutual funds. The dividend distribution tax for debt mutual funds is still the same with no changes. The cess was raised to 4% from 3%. This increase of 1% will marginally increase your tax burden. For example, if you are in the tax bracket of 20% your income tax rate will become 20.8% i.e. an increase of Rs. 200 on the total tax amount of Rs. 20,000. Apart from the above, the corporate tax saw a cut of 5% and became 25% from the previous level of 30%. However, this reduction is only applicable to firms having annual turnover up to Rs. 250 Crore. This effectively translates into to a good push for The Micro Small and Medium Enterprises (MSME) sector. In the 2018-19 Budget, the government has planned several initiatives to boost up rural infrastructure. Better infrastructure will create employment opportunities and better logistics in and around the areas. In the long run, this infrastructure improvement in rural areas can work as a magnet to urbanization. Finance Minister Arun Jaitley has declared that the government plans to build 51 lakh new rural houses, 1.88 crore toilets, 17 lakh kilometres of rural roads and provide 1.75 crore new household electric connections besides boosting agricultural growth. In the backdrop of a challenging fiscal situation, subdued economic growth, and farm distress the Finance Minister had little room to accommodate the widespread expectations of the common man from the Budget on the personal taxation front.